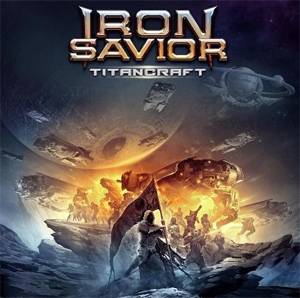 German power metallers IRON SAVIOR will release their new studio album, Titancraft, on May 29th via AFM Records. The band has now revealed the cover artwork and tracklist. IRON SAVIOR's first ever DVD/Live CD, Live At The Final Frontier, was released on May 29th, 2015. It includes the recordings of the band's show in their hometown Hamburg (from January 2015) and comes as exclusive DVD/2CD digipak.